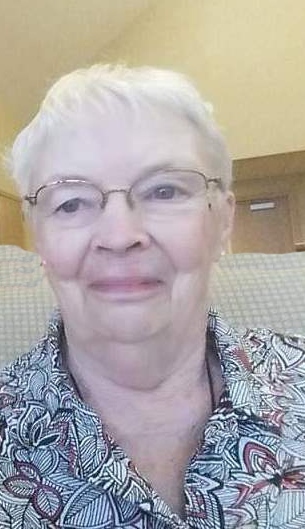 Leona Ann Rhoads, 83, of Holland, Iowa, passed away on Sunday, December 2, 2018 at Parkview Manor in Reinbeck, Iowa. A memorial service will be held at 10:30 a.m. on Saturday, December 8, 2018 at the Colfax Center Presbyterian Church in rural Holland. Inurnment will follow at the Holland Cemetery. Memorial visitation will be held one hour prior to the memorial service at the church. Memorials may be directed to the Holland Fire Department or the Ostfriesen Heritage Society in Wellsburg. Abels Funeral and Cremation Service was entrusted with arrangements. Leona was born on April 6, 1935, in Marshalltown, Iowa to her parents George and Henrietta (Werkman) Harms. She attended school at Colfax # 6 and then attended Holland School. Leona graduated from Grundy Center High School in the class of 1953. She was united in marriage to John Rhoads on June 3, 1955 at the Holland Christian Reformed Church. After they married, they made their home in Grundy Center and then later moved to Holland. They enjoyed 51 happy years together until John’s death on December 9, 2006. In 1964, Leona was named City Clerk for Holland, it’s first and one of the few female city clerks at the time. In 1971, she was elected to the Holland City Council, where she served until 1977. Leona worked for Grundy County ACS before being named manager of the Farmers Savings Bank in Holland. She then worked in Grundy Center at the Farmers Savings Bank in the real estate and insurance department. In March of 1997, she retired from the Farmers Central Cooperative after 18 years of service. In retirement, she enjoyed traveling the world and genealogy. She was very active in the Ostfriesen Heritage Society and participated in many exchange programs with friends and relatives from Germany. Leona was active in many civic and community organizations her entire life, serving on the planning committee for the Holland Centennial Celebration in 1977, as the Colfax Center Township Secretary and as a member of the Grundy County Landfill Commission. Leona was an active and life-long member of the Holland Christian Reformed Church until it’s closing; after which she became a member of the Colfax Center Presbyterian Church. Leona is survived by her sister Wilma Vos of Grundy Center; Wilma’s children, Brenda Biersner, Scott (Connie) Vos and Linda (Lyndon) Johnson; their children and grandchildren and the members of the John Rhoads family. She was preceded in death by her parents; husband John Rhoads; brother-in-law Bill Vos and nephew-in-law John Biersner.